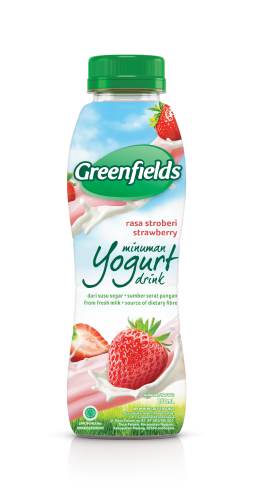 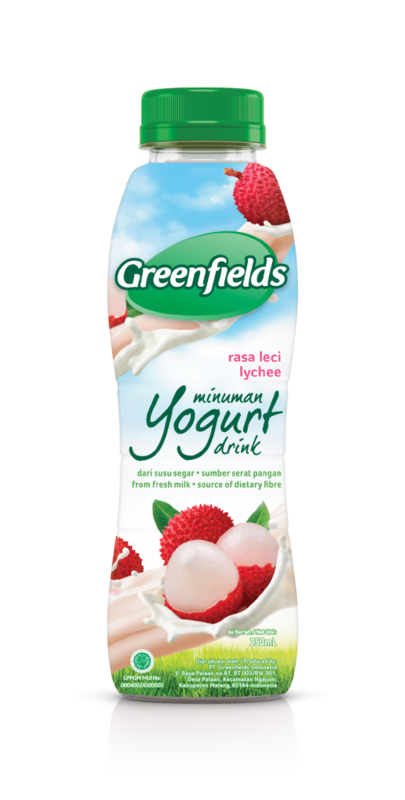 Delicious, healthy and blended with Greenfields fresh milk, our ready-to-drink yogurt is a convenient and delicious way to get your daily dose of dietary fibre! A mango yogurt drink that provides a refreshing fruity twist to take your taste buds to the tropics. All your favourite fruits, including orange, strawberry and pineapple, together in a smooth, nutritious and delicious yogurt drink! 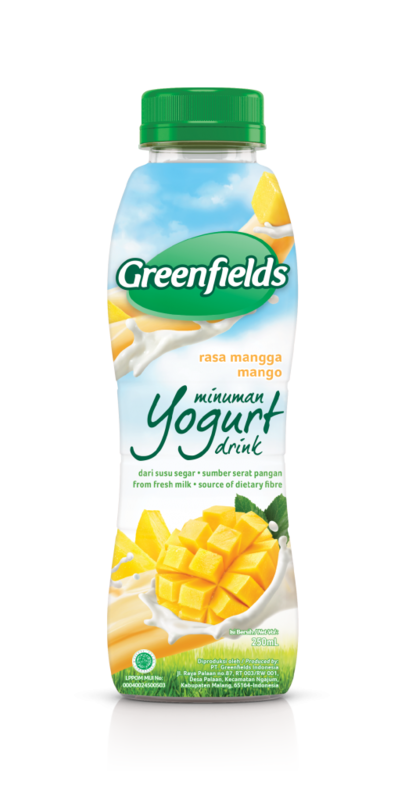 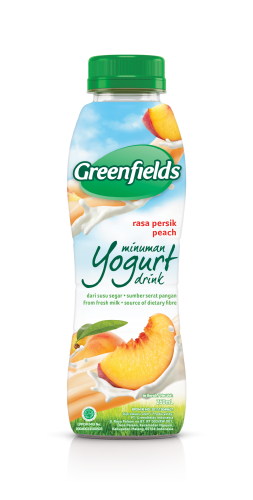 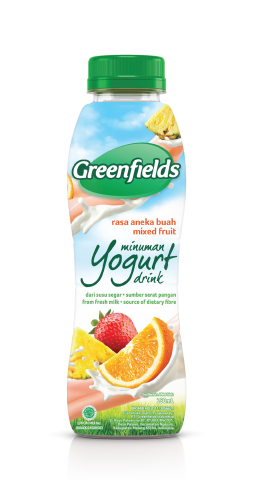 Combining the refreshing taste of a well-loved tropical fruit with the smooth, silky goodness of Greenfields high-quality milk. Yummy! 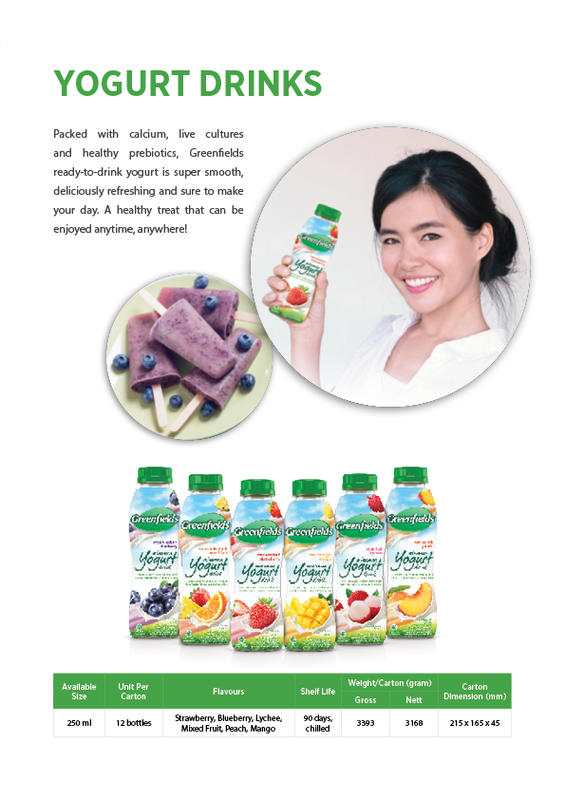 Wholesome, natural and loaded with blueberry extract, it’s the perfect combination of antioxidants and prebiotics!